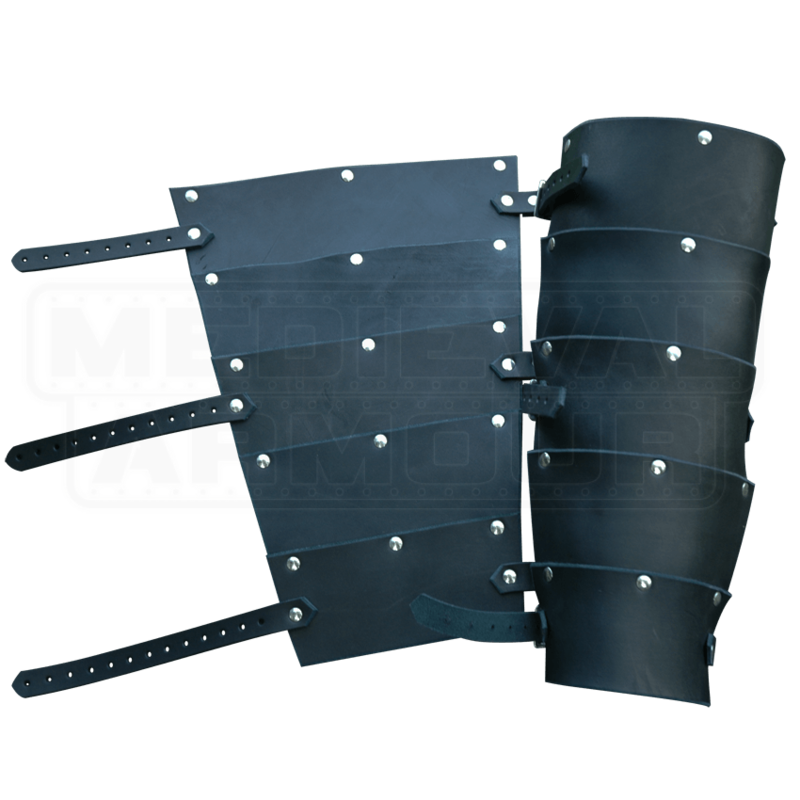 Our Lorica Segmenta Greaves will compliment any Roman or Medieval outfit. 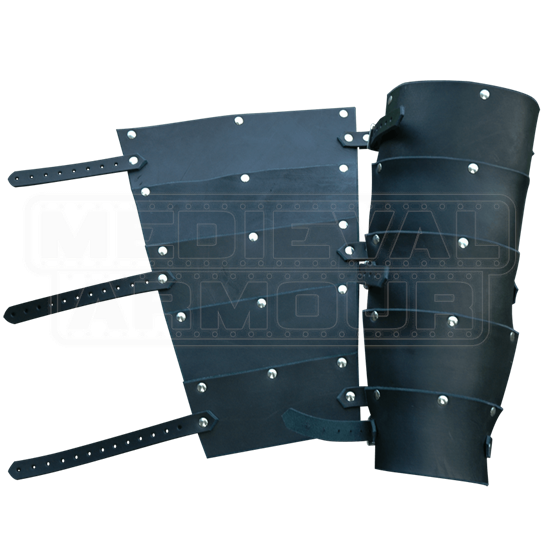 Wear them with your Lorica Segmenta or with any other armour, and they will look great. Made of layered 7/8 oz. leather, these greaves provide good protection. They have three straps and buckles for closure, and the straps will accommodate up to a 22 inch calf. If your calf is larger than this, please let us know. The greaves are available in black, brown, red, green, or blue.